Are you suffering from a chronic disease such Osteoporosis, diabetes or heart disease? There's no doubt chronic disease is Australia's biggest health challenge with heart disease, obesity, cancer, cognitive impairment, arthritis, and diabetes at epidemic proportions. What's more, the medical system is increasingly complex and at times overwhelming. At Whole Medicine, we are passionate about lifestyle medicine and providing you with the tools, understanding and most importantly the inspiration you need to make behaviour changes so that you can become healthier, happier and proactively well. Osteoporosis is an increasingly common condition affecting both men and women. It is a condition where your bones don't maintain their strong structure and become brittle and fragile. This increases the risk of fractures and bone deformity. It is a silent condition as there are no symptoms. 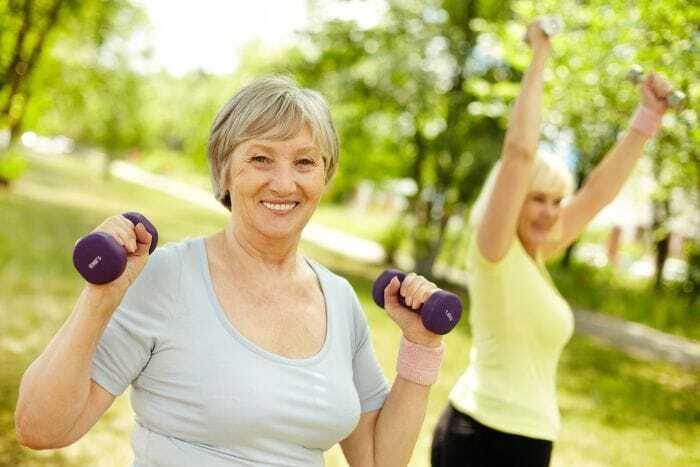 As a proactive clinic, we recommend you have a screening test for osteoporosis from age 50, as early treatment and lifestyle intervention can help reduce the risk of fractures. Asthma affects a quarter of Australians and can be a lifelong, debilitating condition. Managing asthma well is often a matter of making sure lifestyle and nutrition is optimised, in addition to medical management and ongoing support. Our in-house dispensary and care planning is ideal to track your management progress. Heart disease remains the number one cause of death in both men and women in Australia. The biggest risk for heart disease is an unhealthy lifestyle including being sedentary, a lack of exercise, poor diet, high intake of saturated fats, salt and sugars and a low intake of fibre. Hostility, loneliness, emotional stress, smoking, excessive alcohol and poor nutrition also play a role in heart disease. Like diabetes, changing lifestyle and behavioural habits has a profound effect on both short- and long-term outcomes. In fact, it may even prevent someone dying of a heart attack way too early. Obesity is at epidemic proportions in our community, with two out of three adults either overweight or obese, and 25 per cent of children are now also in this category. Obesity is associated with increased risk of depression, fatty liver, lowered fertility, arthritis, heart disease, stroke, diabetes and cancer. Managing that risk and improving overall heath is important for those with weight issues. At Whole Medicine, we are inspired to take a whole person approach to weight management, and we support underlying patterns and emotions with the goal of introducing sustainable behavioural changes for the long-term. Research shows, gut health is linked to the management of long-term inflammation and immune issues. The gut-brain connection has a profound effect on your health because it plays a role in helping prevent and manage disease risk. The gut is your closest relationship to the outside world, but your gut biome (the healthy bacteria that lives in your gut) are important for supporting cancer gene suppression, maintaining optimal levels of inflammation and even making nutrients. At Whole Medicine, we take a broad approach to health care, including your gut and how it functions. Preventing, screening for, diagnosing, treating and supporting patients through cancer is an important part of our job as general practitioners. Cancer treatments are often a combination of surgery, chemotherapy and radiation. But holistically, there is incredible empowerment in making lifestyle changes to improve your wellness, mindfulness and resilience during this time. Diabetes is the number one lifestyle related disease affecting our community. The statistics are alarming as more people are being diagnosed some as young as 12. Diabetes negatively affects your life span. The dysregulation of sugars, fats and hormones are the underlying drivers that can lead to heart disease, blindness, vascular disease in the legs, poorly healing skin ulcers, cognitive impairment, nerve damage, amputation of limbs, kidney disease, liver disease, depression and even cancer. Diabetes is the most responsive condition to changing lifestyle. At Whole Medicine, we have seen incredible results for people inspired to make the necessary changes to improve their health and wellbeing, which has resulted in the reversal of symptoms and lowered long-term risk. Hypertension has always been known as a silent killer. It is an asymptomatic condition that affects millions of people. It is simply the condition of increased pressure in the heart and arteries. This can lead to stroke, heart attack, enlargement of the heart and blindness. It is vital that someone checks your blood pressure at least every two years. To help screen for hypertension, take our Whole Medicine Health Assessment. This comprehensive assessment may pick up early warning signs, and support you in seeking help and intervention. Good mental health is vitally important because it leads to good physical health and vice versa. Striving to achieve optimal lifestyle, nutrition, movement and emotional resilience is vital for long-term support of those who have mental health issues. Treatment for depression and anxiety often includes nutrition, diet, lifestyle support, counselling, psychology, life skills and at times medication. Migraine headaches are often a lifelong issue for many people. In fact, migraine and headache is one of the most common reasons why people see a GP. Taking an expanded approach to migraine by focusing on the whole-person is vital to better management. Managing hormones, nutrients, sleep, lifestyle and using innovative techniques, in addition to medication, can go a long way to help improve the chronicity of this issue. Arthritis is often seen as a natural progression to ageing. This does not have to be the case. Arthritis is a degenerative and painful condition that is characterised by inflammation, pain and swelling of the joints. This often limits mobility and may set off a vicious cycle of weight issues, worsening chronic pain and lowering social functioning. Lifestyle plays a major role in managing chronic inflammation and we have seen some incredible results from optimising nutrition, and supporting other lifestyle factors in some of our patients. Platelet rich plasma joint injections and other innovative interventions such as acupuncture also play a role.